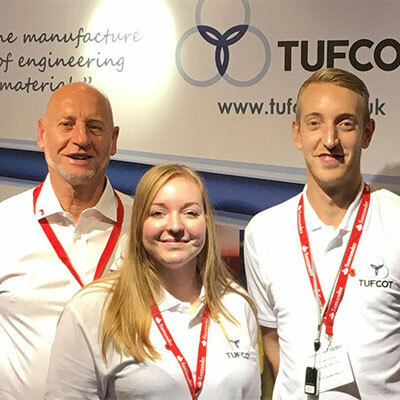 All Tufcot® composite materials are manufactured on site at our extensive factory in Sheffield, UK. The process starts with a formulation created by Tufcot’s R and D department. These formulations relate to the specific material grades. 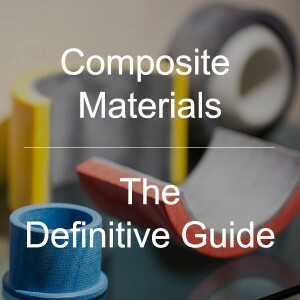 Each material grade is comprised of a thermosetting resin system of which we have several to suit the many varied application to which the material is suited. The resin can incorporate solid lubricant additives such as, Graphite, PTFE or Molybdenum Di Sulphide. A reinforcing fibre, these are chosen to enhance the properties of the material and again a number of reinforcing materials are available, the choice of fibre used would be application specific. A very large range of standard mandrel sizes are available accommodate our customer requirements, custom sizes can be quickly and economically produced for special applications. 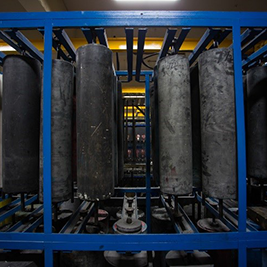 Once the tubes or rods are produced they go through an initial curing process (green phase). After the allocated amount of time they can be easily handled to move on to a post cure process in a large temperature controlled curing oven. Once cured, the tubes/rods are ready to be machined or are ready for shipment if the customer has ordered raw material tubes. Laminating follows the initial same procedure using the same formulations as the tube and rod production section. However, this time instead of using a mandrel, it involves a layup process of a certain number of layers of reinforcing fabric impregnated with the specific resin formulation to suit the required thickness, width and length for a finished laminate. 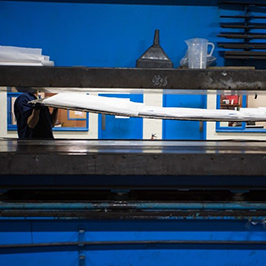 Once the fabric is laid up to the required size and thickness, it’s then put into one of our hydraulic laminating presses. The laminate is compressed to a set size which also completes the initial curing phase (green phase) the laminate is post cured, the same as the tubes in the curing oven.